Introduction: From the moment he took the stage at 30 Rockefeller Plaza and shouted “Live from New York, it’s Saturday Night!” it was only a matter of time before Hollywood came calling for Eddie Murphy. The comedian’s edgy humor, whip-smart intelligence and go-for-broke energy all but ensured a quick transition to feature films. 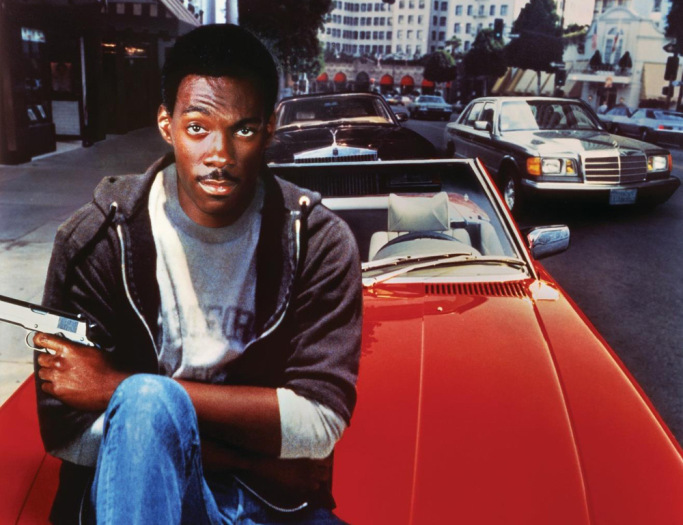 Beginning his movie career with a series of impressive costarring performances, Murphy made the leap to leading man status in the action-comedy classic “Beverly Hills Cop.” Released on December 5, 1984, it remains his most financially successful live-action film to date. On its 30th anniversary, here’s a look at Eddie Murphy’s ten best roles, plus five that should be forgotten. By Matthew Chernov in Variety on December 5, 2014 .